Posted December 3rd, 2018 by Codastar & filed under General News. Changes in the way we build new houses is one of the best ways affect climate change. Eco-building / sustainable building is a prime concern for our team. Our homes are one of the biggest contributor to our carbon footprint. How a house is built has an effect on carbon footprint. Building new houses from timber is one way to reduce carbon as timber store carbon rather than using carbon. Did you know it takes a quarter of a tonner of Co2 to create a tonne of brick! We presently make monthly donations to the Woodland Trust to plant trees to offset some of our carbon footprint. 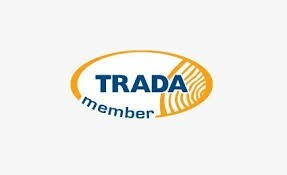 We are members of the Timber Research And Development Association, TRADA. TRADA is continues its commitment to upskill the timber trade with a number of training courses. We attended a course run last week in High Wycombe run by technical experts. 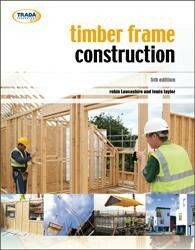 The course explains why Timber frame and become popular and gives better understanding on its use in design and construction. We came back with a information, motivation and refreshed enthusiasm ready for our future projects. A bit of weekend reading for us. Reducing the carbon foot print of a build during constructing and using more sustainable methods is our company aim. Awareness of factors affecting the environment has certainly increased and we hope that people will be more conscious when considering a new build or house extension project the impact it too can have on the environment. We try to reduce the carbon footprint of each of our projects by using sustainable and up to date building methods. We try not to build by block and brick construction as much as possible and as much as possible promote timber frame construction. Timber frame has the ability to outperform traditional masonry houses when using the best materials and expertise.